When you are brought on as a substitute keeper in the final minute of extra time with the score at 2-2, you know what your job is - to win the penalty shoot-out. When the match is a play-off for a place in the World Cup finals and your country has never qualified before, well, you know that job is pretty huge. 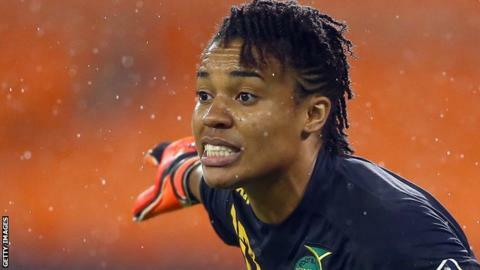 Thankfully for Jamaica, Nicole McClure rose to the challenge against Panama in Texas in October to send the Reggae Girlz through to France 2019. "I couldn't do anything about the first two penalties but had a word with myself before the third one, and saved it," the 28-year-old explained. "That calmed everyone down. I then said to myself 'save the next one and we're in'. I did and it was epic. We're the first country from the Caribbean ever to qualify for the World Cup. "Creating history was cool, but now we want to prove people wrong. We're the lowest-ranked team in the tournament but we want to at least make it through to the second round." Born and raised in New York by her Jamaica-born parents, Nicole had a battle on her hands just to persuade her mum to let her start playing football. "I wanted to do everything my older brother did, but my mum would always say 'next year, next year," Nicole recalled. "I kept annoying her until finally, when I was eight, a local league was starting and she had no choice but to let me start playing for the local club. My dad was a goalkeeper so this crazy position was in my blood." While Nicole will have dreamt of playing in the World Cup, she could not have imagined doing it while based in the County Tyrone town of Strabane. With a population of less than 18,000, it's Nicole's home for the next six months after she joined Irish Women's Premiership side Sion Swifts Ladies. It's far cry from New York - both geographically and culturally - but the keeper is settling in well to her new surroundings. "It's a cute little town. It's not always easy to understand the accent, but the people are very warm, even if the weather isn't," Nicole observed. "The place is very hilly and very 'country' - I can smell the cow manure quite a lot - but I've got a lovely house close to the town and am enjoying 'the craic' as the locals say. "I've always wanted to try a proper Guinness in Ireland and finally got that chance. I loved it." It's perhaps no surprise that Nicole, who has won 21 international caps, has adapted so well to Northern Ireland. She is well used to travelling, with her professional club career having taken in Iceland, Switzerland, Sweden, Norway, Croatia, Israel and France, where she remembers once making 25 saves during a match against Lyon. So, why Sion Swifts and why now? "A company that makes goalkeeping gloves began sponsoring me and, when they realised I was looking for a club ahead of the World Cup, they said they had a contact in Ireland," she explained. "That was Tommy [Canning, Sion Swifts coach], who got in touch immediately. I had some good conversations with Tommy, got a great vibe from him and I'm delighted to be here, even if I had never heard of Strabane. "My dream is to play in England and I've been trying to make that come true for eight years now. I grew up watching Arsenal matches on TV and fell in love with Thierry Henry, while Edwin van der Sar was my goalkeeping hero." 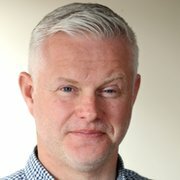 Jamaica's World Cup qualification was a real 'phoenix from the ashes' story, given that the team ceased to exist between 2010 and 2014 because of a lack of funding. It was Cedella Marley, first-born daughter of iconic Jamaican singer Bob Marley, who turned their fortunes around by coming on board as an ambassador and sponsor with the Bob Marley Foundation. The 51-year-old remains close to the squad members and was one of the first to congratulate Nicole on her play-off penalty heroics. "When I checked my phone after the match I had a voicemail from Cedella saying how proud of me she was," Nicole explained. "If it wasn't for her we would not be going to the World Cup because without her there would be no team. She is the reason we have managed to stay afloat all these years. "Her father was a huge football fan, it was one of his favourite pastimes and she was keen to give something back to the game. What better way than to lead the resurgence of women's football." While the women's World Cup, which starts in June, will naturally be at the forefront of Nicole's mind, for now she is keen to get started with Sion Swifts and make an impression on the Women's Premiership. The north west club's only major trophy success came in the Challenge Cup in 2017 and Nicole explained that the coaching staff are keen to win more. "I've had my first training session and I'm really pleased with the professionalism of the squad," she added. "Our aims for the season are high. The coaches want to lift a trophy, so 'no pressure' I suppose." Nicole doesn't mind pressure, as she proved in Texas. And, maybe if she does win a trophy with her new club, she might get another call from Cedella.